Welcome to a brand new post. I haven't posted on here for a while, due to finishing a massive bunch of deadlines, all in a few days, therefore I needed to rest and put my wellbeing first. 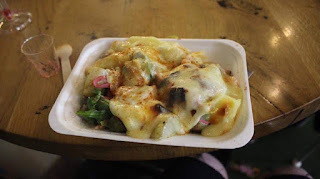 I thought that today, I would talk to you all about the vendors that are at Trinity Kitchen at the moment. DISCLAIMER: The vendors at Trinity Kitchen have changed. If so, then still please, go and check out the vendors via Social Media. Back by popular demand, Eat Like A Greek is here again serving up their locally sourced free range Pork, Lamb, Chicken and Beef Souvlaki wraps along with some other Greek favorites! All their seasoning and olive oil comes directly from their Samos farm or the surrounding Aegean area- beautiful! I love Greek food. I remember the first time I tried Greek food, as it was whilst I was on holiday in Crete where I tried lots of different Greek food, therefore, whenever I have it, it transports me right back to that first holiday. Eat Like A Greek keep authentic to Greek food whilst applyling slight tweaks to the dishes to make them be that bit more delicious. I had some of the Beef that Eat Like A Greek served and I wanted just a massive bowl of it on the go! If you've never had Greek food then I urge you try it within Trinity Kitchen! 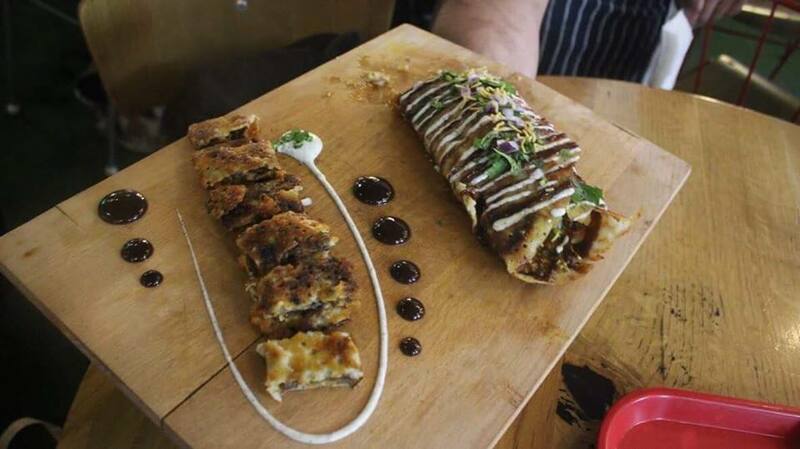 Combing the flavours and authenticity of North India and fresh local produce from Sussex, Jah Jyot is the perfect Indian street food experience. Enjoy tikka wraps, crispy samosa's and the most authentic Indian curries.I'm not the biggest fan of curries, but, I did quite like the food that this vendor was serving as it wasn't what I've had before when it comes to Indian food. It was warming, but, not spicy. I tried their flatbreads and they tasted like pieces of heaven. I would love these on the colder days when I'm out in Leeds City Centre. Inspired by a trip to Budapest, this family own business is perfect calling for all with a sweet tooth! Kürtőskalács is made from sweet, yeast dough filled with delicious toppings including brownies. chocolate sauce and whipped cream to name a few. I would describe a Chimney Cake, sort of as a, portable churro vehicle for a smorgasbord of goodies. 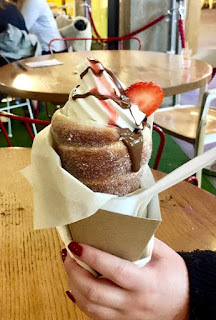 Myself and Abbey decided to go for a Chimney Cake filled with Ice Cream, Nutella and Strawberry Puree/ There are others including a Unicorn one, but, when I see Nutella, I have to get it! These were one of the best things I have ever wrapped my lips around. 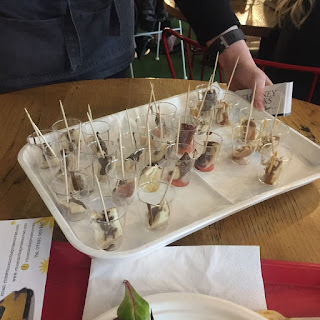 I would definitely drag someone else to Trinity Leeds, just so they can try them, and so I can get five more. Definitely go and try these! All cheese errything! Inspired by the cold slopes in the Alps, Raclette has arrived in Trinity Kitchen! Think British potatoes, cured meats and silverskin onions doused in the creamiest cheese straight from the raclette! I tried this, even though I knew that it would kill my insides due to intolerance, mainly because I was intrigued on seeing if the Raclette lived up to the hype that it has received. It did and it was delicious. The guys behind Gondola were amazing to talk to. You can get the self melting Cheese with potatoes and other goodies, or in a hotdog. Me and Abbey went for the potato version and honestly, I think that this dish would be the perfect thing for a post hangover dish. It was gorgeous! Bangwok are back with a bang! 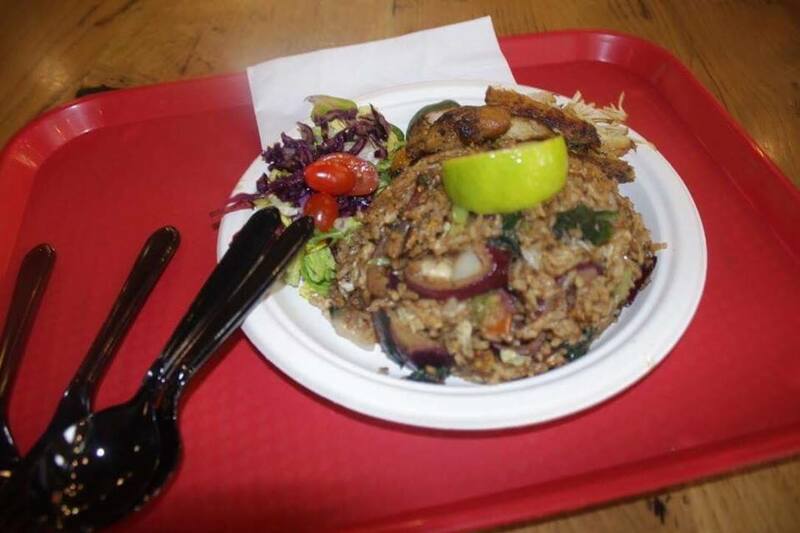 Thai street food at its finest, make sure you try the sri-racha rice and grilled meats- not to be missed! Me and Abbey tried the Chicken Fried Rice, and honestly, I loved it. It was everything that you would need when you want something a bit comforting. I loved the tectures and flavours that were bursting including the tenderness of the Chicken against the fluffiness of the rice. Definitely something to try as you can tell the love that has gone in when you take a bite of the food. Fizz on tap- literally! Flash cooled, chilled Frizzante 1754 straight up or add a little flavour with elderflower, blackberry, blueberry and lemon. 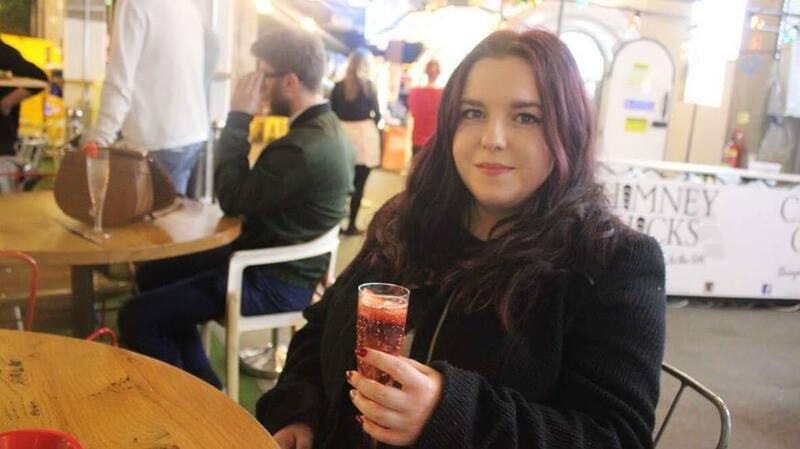 Okay, so I'm not the biggest fan of Prosecco. 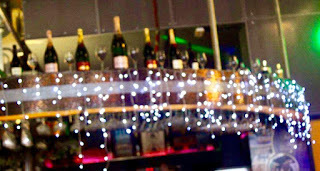 I know thats probably not the norm, but, honestly Prosecco burns my throat and chest when I drink it. Well, that was until I tried Vincenzo.. 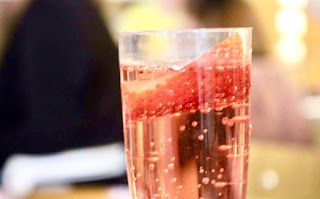 It's rare to find a Prosecco that doesn't burn so I was amazed when I drank this Prosecco. I tried a Strawberry one and I absolutely loved it. What's your favourite food from this? 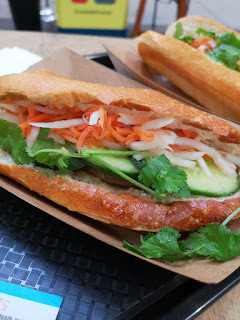 Have you tried the latest vendors at Trinity Kitchen? What do you think? Let me know! Check out Trinity's latest vendors here. I hope that you come back next time for another amazing post.